What did I do this past week? I also did my resume in html & css, in both french & english, as a result of following both a French MOOC (Open Classrooms via Simplonline) and Codecademy. Although there were a lot of common instructions it wasn’t that bad doing the work twice at the end of the day, as each platform has a different teaching approach and doesn’t stress the same points. Practice makes perfect, isn’t it? What I particularly like with Codecademy is the interactive teaching: it is very well-done and nicely executed, you want to go on and on and on… I’m told by more experienced developers that this feeling fades later on, but I’m still very young in my journey so, for the moment, I do like it!! On the other hand, Open Classrooms asks you to evaluate 3 other students should you want your work to be evaluated: it’s quite interesting to be confronted to other people’s productions and quite educating as well. 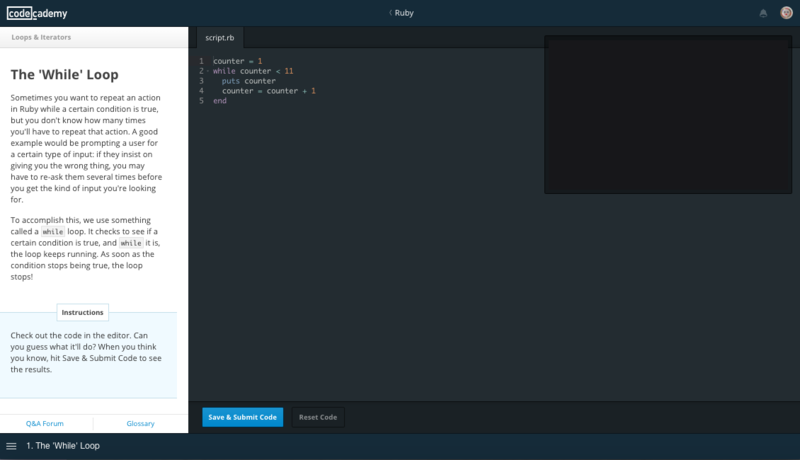 I also started the Ruby course on Codecademy: maybe I’ll get it better from now on… wait and see! 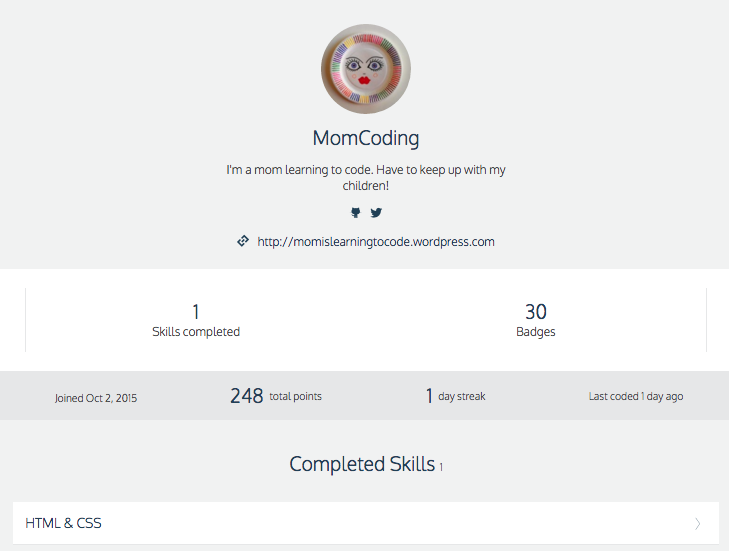 (This article was first published on the blog Momslearningtocode.com, now closed).